In 1988 a few months before the idea of salamanda tandem came about we arrived at Mount St Helens; located in Washington in the Pacific Northwest region of America. 8 years earlier this volcanic mountain had erupted, transforming millions of acres of beautiful forest into a virtual desert. Charred trunks ran on for as far as the eye could see; like the kind of black stubble on an unshaven chin. The place was deathly quiet. We’d been camping wild for 2 months or so along the west coast and I’d become used to hearing birds and insects all around. Nothing here, but the sound of ones own breath, and a few tourists scattered in the car park. I’d arrived with a fare amount of noise going on in my head; a narrow escape from drowning in the deep waters at Big Sur, an unhappy travel companion and exhausted from 4 years of full time work as a musical interaction therapist in a special school for children on the autistic spectrum. I felt a desire to put things right and a fear of being alone in this burnt and hostile landscape. Thus, wandering off the path into the wilderness it was a relief when we came across a pond and a small amount of greenery. At first the water looked still and then a movement flickered in the shallow waters below. A sign nearby suggested we took care – salamander’s were breading -these newt like creatures were the first living things visible in the place after all forms of life had been destroyed following the volcanic eruption. The salamander has a remarkable ability; it is capable of regenerating the loss of parts of its body through a process that involves simplifying the cells at the amputation site in order to re grow. This process is called de-differentiation – a process by which re-growth can happen, like seen in a worm when a spade accidentally cuts through it when we dig our soil. Captivated by this idea of regeneration and survival through a kind of distillation, the first half of the name salamanda (tandem) arrived. Back in the day, Lewis, Isabel and sister Bronwen had made a v early dance / music performance work together in 1984, for Leicester University Theatre, where a concept based on complete equality was the inspiration for a dance performed by 7 blind people and Bronwen who performed as the central spoke of a wheel of threads completely without sight. In a taped conversation Dad sent to me at college while studying dance, he described how his movements labelled negatively as ‘blindisms’ at school had triggered a sense of confinement in movement; and how he dreamt of feeling the wind on his face from running free, or a fast journey down hill on a bicycle. We talked; could an equal partnership of two generate the necessary momentum to feel this sense of freedom? Around 1982 our family were loaned a ‘tandem’ bicycle by the local blind institute and one day Dad and I set off down our road. Though we’d discussed how it should be, I soon became consumed by fearful thoughts: ‘this is dad’s first bike ride’ ‘can I keep it upright’, ‘I’m responsible for us and I can’t communicate’ ‘if we lean away from the corners we will fall off’! Then suddenly a palpable realisation struck, Dad did not need direction, he knew what to do, his will was strong, he was powering up giving us the momentum we needed to stay upright, he had no fear, he just had strength, and joy in it too, his body mind were securely in that moment. Thus I realised it was me with the restriction not Dad, my mind had to become become quiet, and he showed me how. Now both of us were liberated to take the journey. So the ‘tandem’ arrived in salamanda tandem; a symbol of equality, equity, and the letting go of preconceptions for creative freedom. 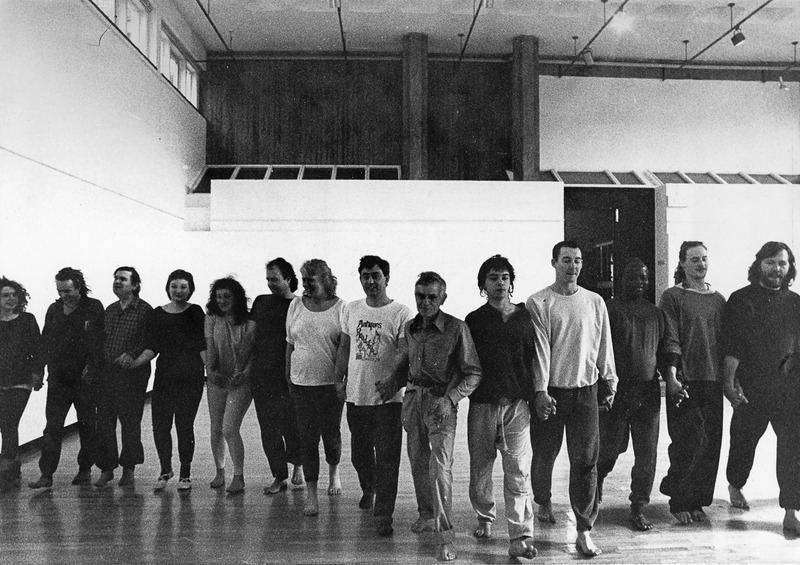 With both parts making the whole Salamanda Tandem was formed on February 14th 1989, initially by Isabel and her partner Peter Byworth a gifted performer and facilitator who trained in Community Dance at the Laban Centre. Sadly Peter left after 3 years to become a fitness instructor. However, sometimes losses create insight, and it became clear that my father, now retired, should be an artist on the books. 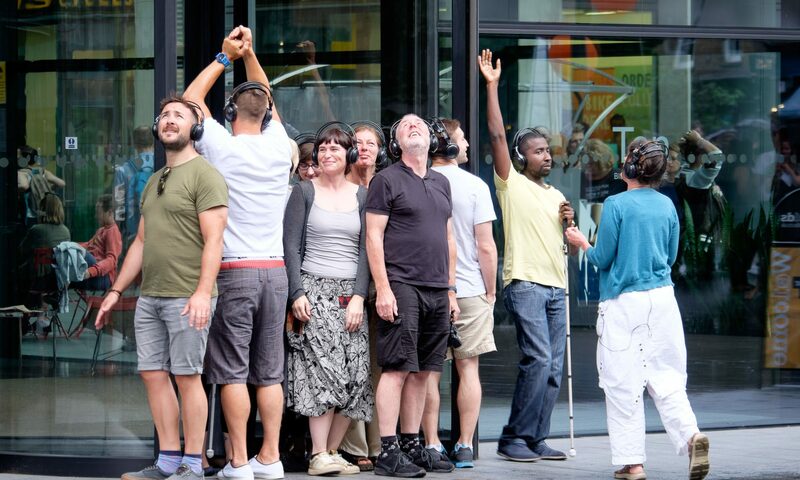 Thus in February 1992 Lewis and Isabel co-founded Eye Contact Dance Company, with its own memorandum of association, members, and bank account, Eye Contact was Salamanda Tandem’s biggest ever project. As co-directors, Lewis and Isabel continued working and collaborating, with many other artists, till his death on September 3rd 2012. 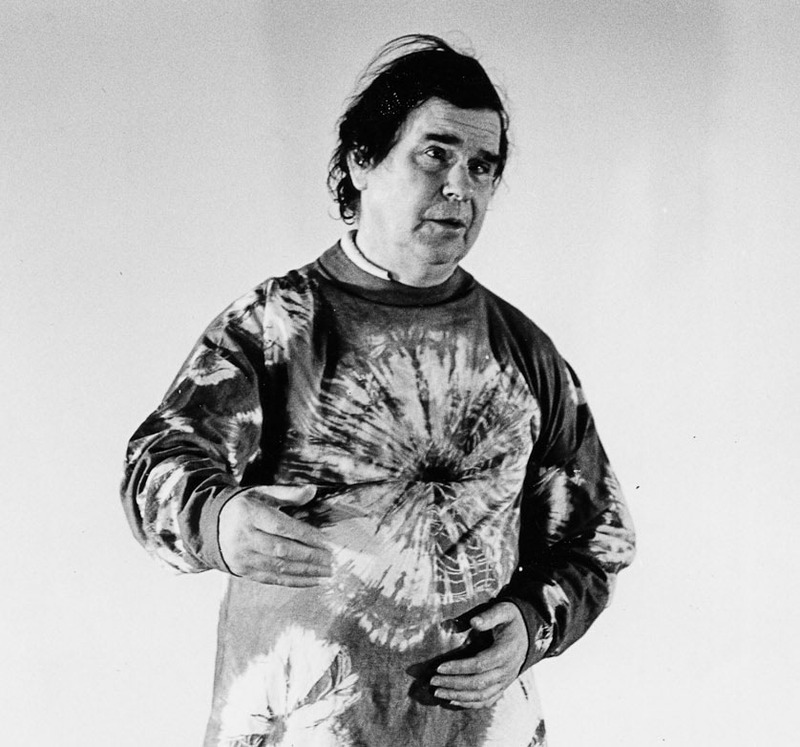 His life and work with Salamanda Tandem still leaves a profoundly inspiring legacy. After a 30 year old journey of navigation through uncharted territory – I have come to understand that in the name ‘salamanda tandem’ are symbols of ingenuity, survival, resistance, regeneration, equality, and momentum, found through drilling down to a few essential properties that support growth and change to happen. These are some of the qualities I believe are essential for all our survival!